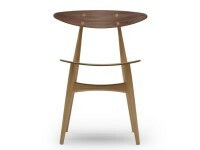 Carl Hansen opened his furniture workshop in Odense, Denmark in 1908 and soon became known for the high quality of his work. 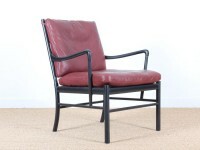 In the early days, the company produced bespoke furniture including everything from dining room sets to bedroom suites. 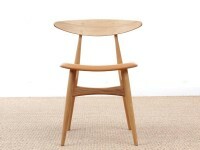 As the company grew and times changed, however, it gradually began to produce smaller series of it most popular pieces. This combination of hand craftsmanship and rational series production soon became the firm's hallmark and continues to set it apart today. 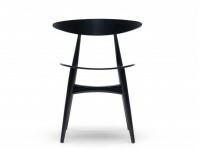 Until the middle of the 1940s Carl Hansen & Son cooperated with Frits Henningsen, a Danish architect and cabinetmaker, on designs of tables and chairs. The company entered a second generation of growth when the son of the founder, Holger Hansen, took over the reins from his father. 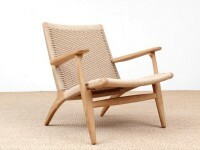 He was quick to discover a new breed of young Danish furniture designers that were coming onto the scene after WWII, including the then relatively unknown Hans J. Wegner. 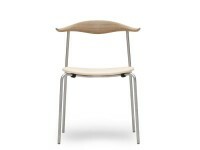 The cooperation between Carl Hansen & Son and Hans J. Wegner began in 1949. 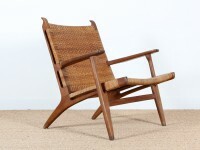 Wegner, who trained as a master cabinetmaker before he became a designer, worked closely with Holger Hansen and his team of craftsmen to find a way to bring Wegner's daring designs into series production. 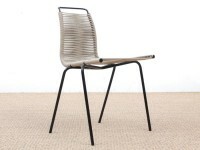 The first models, including the legendary CH 24, "The Wishbone Chair", were introduced in 1950. 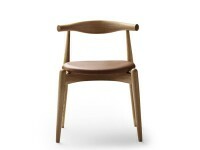 Since then Carl Hansen & Son have crafted a wide range of other Wegner chairs and tables. 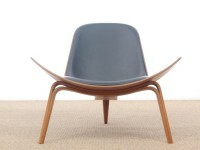 Many of these have achieved status of as collector's items and design icons in their own right, as the CH 25 (1950) and the CH 07 (1963) also known as "The three-legged shell chair". 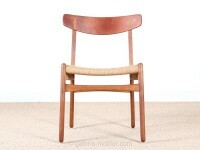 Mid-Century Modern CH 88T wood seat chair by Hans Wegner. 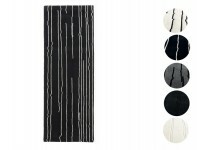 New product. 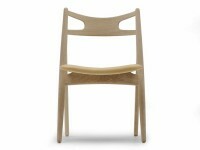 Mid-Century Modern CH 88P foamed seat chair by Hans Wegner. 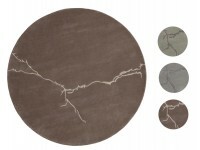 New product. 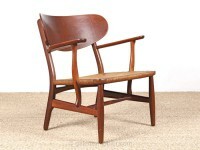 Mid-Century Modern CH 33 chair oak and walnut by Hans Wegner. 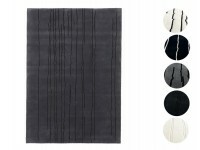 New product. 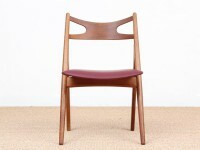 Mid-Century Modern CH 33 chair lacquered by Hans Wegner. 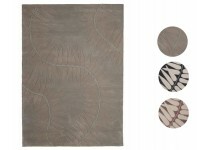 New product. 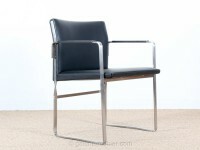 Mid-Century Modern CH 33 chair foamed seat by Hans Wegner. 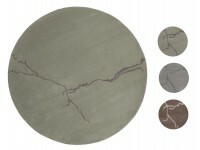 New product. 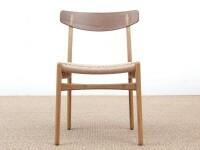 Mid-Century Modern CH 29 Sawback chair oak and walnut by Hans Wegner. 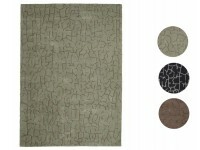 New product. 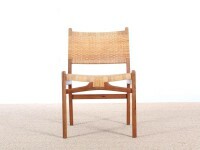 Mid-Century Modern CH 29 Sawback chair foamed seat by Hans Wegner. 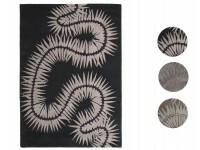 New product. 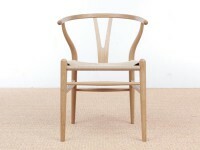 Mid-Century Modern CH 24 Wishbone chair by Hans Wegner. 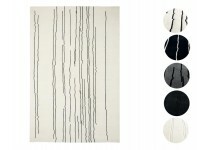 New product. 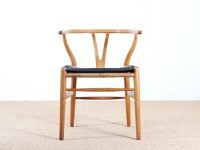 Mid-Century Modern CH 23 chair by Hans Wegner. 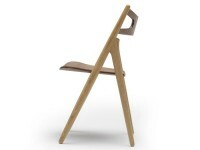 New product. 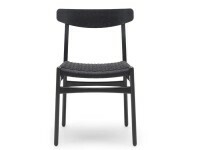 Mid-Century Modern CH 23 black chair by Hans Wegner. 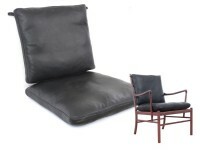 New product. 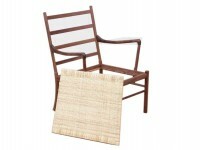 Mid-Century Modern CH 20 Elbow chair by Hans Wegner. 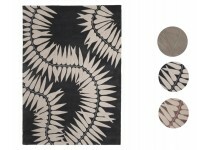 New product. 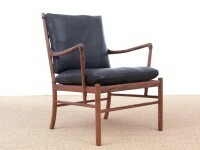 Mid-Century Modern CH 111 armchair by Hans Wegner. 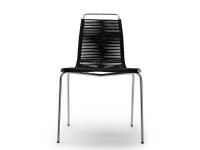 New product. 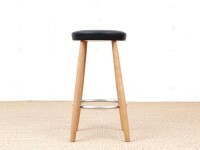 Mid-Century Modern bar stool CH 58, 68 cm by Hans Wegner. New edition. 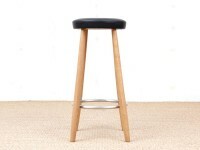 Mid-Century Modern bar stool CH 56, 76 cm by Hans Wegner. New edition.